The Department of Personnel and Training (DoPT) conducted a Swachhta Pakhwada to promote the cause of Swacch Bharat (Clean India). The image above: Secretary, DoPT, Shri B.P. 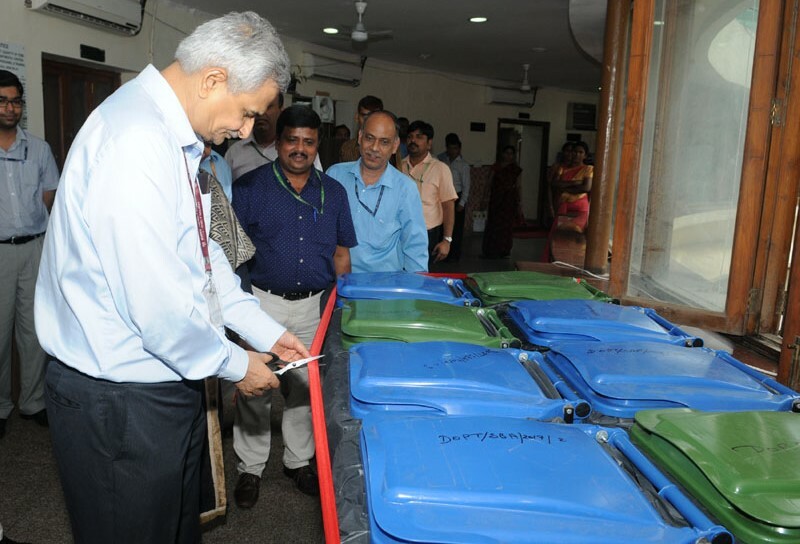 Sharma dedicating 10 numbers of Blue and Green coloured dustbins due to be placed at various places in the premises of the Department of Personnel and Training (DoPT) on the concluding day of the Swachhta Pakhwada in New Delhi on June 30, 2017.